Maid Marian doesn’t know how she’ll go on, but the people of Locksley town, persecuted by the Sheriff of Nottingham, need a protector. And the dreadful Guy of Gisborne, the Sheriff’s right hand, wishes to step into Robin’s shoes as Lord of Locksley and Marian’s fiancé. Who is there to stop them? I was super excited when a copy of Sherwood by Meagan Spooner arrived on my doorstep a few weeks back, and I absolutely couldn’t wait to devour this book! I am a big fan of Meagan’s writing, and I really enjoyed the last book I read by her, Hunted, which was a retelling of Beauty and the Beast. I couldn’t wait to get started on Sherwood to see what Meagan had in store for us in this new book! 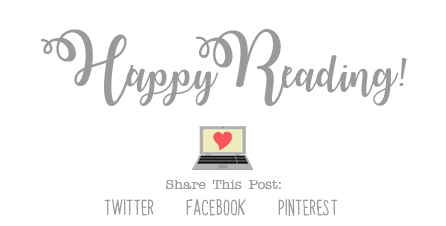 I am a pretty huge fan of fairytale retellings, as I love when an author takes an old story, puts their own twist on it, and makes it something completely new. I always find these stories familiar, yet unique, and I am always looking for new ones to read. Sherwood is a retelling of Robin Hood, and a really enjoyed Meagan’s version of this classic story. Everyone knows the story of Robin Hood, I know I read the children’s version of the story a million times growing up, and I appreciated the familiarity in this book. That being said, I really loved the twist in the story as well! First off, the main character, Maid Marian, is the hero in the story, and I really love the it’s a girl that saves the day. Though I can’t even imagine living in this time period, and trying to do the things that she did throughout the story. (This time period was not kind to women.) But good for Marian for taking charge! I love that! (I’m not going to say much more on that, so read the book if you want to know more!) Just rest assured, she is awesome. Also, there are also a lot of other familiar characters in the book that you’ll remember from the original story as well! I have to say that the storyline for the book kind of caught me by surprise! Obviously I knew it was a retelling, but it went in a completely different direction from what I was expecting. The first chapter was a bit of a shocker, and was not at all what I expected. While I enjoyed reading this book, I did have a few small issues with it, two being that it was a bit slow at times, and it seemed to end a bit abruptly as well. I also didn’t really buy the relationship between Marian and Guy, despite how hard I tried to like it. Otherwise, this was a really interesting read. 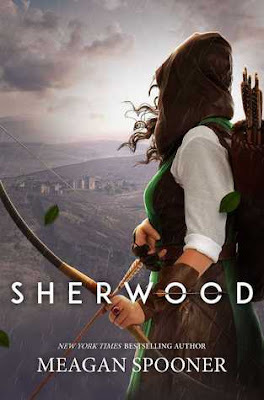 Overall; If you’re a fan of retellings, especially those of Robin Hood, you should definitely add Sherwood to your TBR! I’m really glad to have read the book, and it’s a welcome addition to my shelf along with Hunted, which is also by Meagan Spooner! Check them out, and I hope you love them!